Mexican wolf pups. More than adorable, they're priceless contributions to the recovery of their rare and at-risk species. F1266 and M1133 at the Wolf Conservation Center had three healthy Mexican wolf pups on May 25 – two boys and a girl. All looks good with their first health check. After being wiped out in the U.S. and with only a few animals remaining in Mexico, Mexican gray wolves were bred in captivity and reintroduced to the wild in Arizona beginning in 1998. There are only about 300 Mexican wolves total in captivity. The goal of the reintroduction program was to restore at least 100 wolves to the wild by 2006, and it will take many more than that before the lobo is safe from extinction. Today there are approximately 97 of these wolves in the wild. 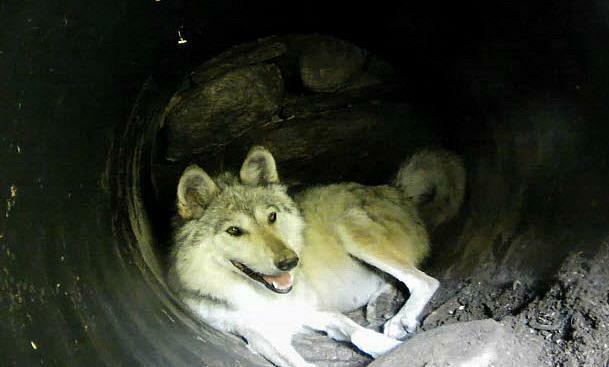 Responses to "Critically endangered Mexican gray wolf gave birth to pups"